INDUSTRY.co.id - Jakarta - The total value of People's Business Credit (KUR) that is distributed by the government until the end of November 2017 was recorded at Rp95.6 trillion. It has reached almost 90% of KUR's 2017 target of Rp106.6 trillion. "The total realization of KUR disbursement until the end of November 2017 is still arguably better when compared to the end of December 2016 which only Rp94, 3 trillion," said Iskandar Simorangkir, Deputy of Macro Economy and Finance Coordinating Ministry for Economic Affairs, in Jakarta, Thursday / 01/2018). 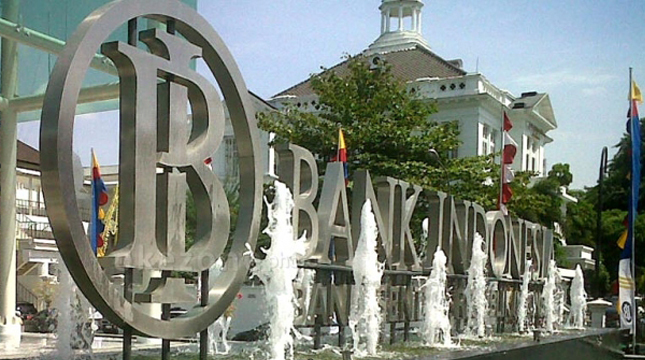 Iskandar said, the ratio of non-performing loans (NPL-red) also fairly low, ie only 0.22% per November. Thus, the total realization of KUR distribution as of November 2017 has reached 89.6% of the 2017 target of Rp106.6 trillion. Iskandar explained that the realization of the largest KUR distribution until the end of November 2017 is done by three state banks, namely PT Bank Rakyat Indonesia Tbk (BBRI), PT Bank Mandiri Tbk (BMRI) and PT Bank Negara Indonesia Tbk (BBNI). The realization of KUR distribution by the three banks as of November 2017 has reached 90 percent average. The target of BRR KUR distribution in 2017 is Rp71.2 trillion and has been realized amounting to Rp69.6 trillion, or about 97.8% of its target. KUR distribution by Bank Mandiri in 2017 is targeted at Rp13 trillion, but its realization reached Rp13, 3 trillion or about 102.5% of the target set previously. "The distribution of KUR by Bank BNI as of November 2017 was recorded at Rp9.70 trillion, or about 80.9% of the target of KUR 2017 distribution of Rp12 trillion," said Iskandar. Meanwhile, according to Iskandar, the realization of KUR disbursement by private banks during the period was recorded at Rp1.3 trillion. It only reached 24.9% of the target of KUR channeling of private banks in 2017 amounting to Rp4.9 trillion. Meanwhile, the realization of KUR disbursement by Regional Development Bank (BPD) until the end of November 2017 was recorded at Rp1.6 trillion. That's only 31.2% of their 2017 KUR distribution target of Rp4.2 trillion.